Great start, isn’t it? 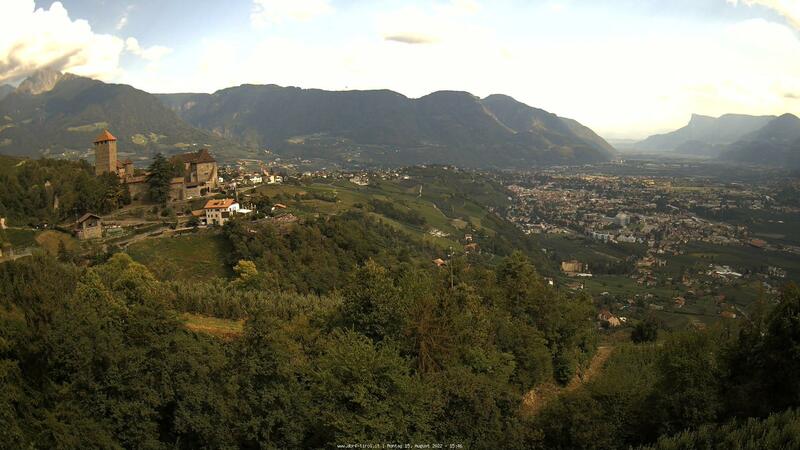 And talking about great: our 3*** hotel is 600 m above sea level, on the sunny Tirolo plate above the Spa town of Merano. But we don’t just offer enchanting views of Merano and its surroundings, of Val Passiria and the Gruppo di Tessa Natural Park: we also provide you with the perfect starting point for many exciting excursions. To all this, we can add 300 days of sun a year, authentic and warm friendliness ... and much more to make you feel at ease. Welcome to our Patriarch Hotel in Tirolo, South Tyrol. It’s great to be able to meet you! … quite easy at our hotel in Tirolo, near Merano. Our secret? The welcoming decor, the pleasant ambiance, the wellness suites and rooms, the breath-taking views ... and what else? Find out for yourself! … breakfast on the large terrace, enjoying the views and the scent of roses, coffee and crispy rolls; or dining with three gourmet courses and a glass of good wine, leaving all your daily worries behind you. Let’s all join the table! … or even better in our sauna, indoor pool, or infrared cabin, for total harmony of body and mind? Enjoy a break and carefree idleness in your holiday home, our 3*** hotel in Tirolo. "Your wellness program will not be forgotten very easily. We spent seven wonderful days. Keep up the good work! PATRIACH HOTEL – seen and loved."